The world is divided along lines of color: Silver and Red. Those with silver blood (literally) have supernatural powers and are the ruling class. Those with red blood are ordinary, and thus essentially slave labor. Of course, divisions like this lead to dissension and rebellion, and a “terrorist” group of Reds are attacking Silvers. Mare, the Red narrator, gets caught in the middle of this. She is an impossibility, a Red with a developing supernatural power, and both sides want to use her as a spokesperson for their cause. What I found most interesting in Red Queen was the politics. There is a huge philosophical divide in the real world between revolutions driven by violence and those driven by peaceful protest. Both have failed in our history and both have been successful. Circumstances seem to dictate to what extent change can be made through different kinds of actions. A year ago, I watched Suffragette, which also discusses these same things – how much can we change by peace, and how much violence is needed? Similarly, The Rock and the River by Kekla Magoon discusses these same things with regards to the Black Panthers during the Civil Rights movement. 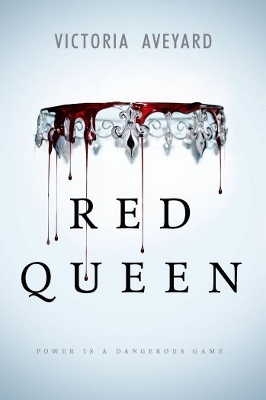 While Red Queen is set either in an alternate world altogether or a future (and unrecognizable) version of our world, these political themes are extremely relevant to today’s world. Less interesting to me was the inevitable plot twists. One in particular ran along a track so well-worn in current fiction that it was visible almost from the beginning of the book. I would have been far more surprised (and pleased) had it never occurred at all. Despite this one drawback, though, I was very pleased with the book and looking forward to the next in the series. I do think I’ll take a break between readings, however. These are the kinds of books that can drag you in so much that you end up staying up way too late and neglecting the rest of what you need to do. I need a breather before I dive back into this world! This entry was posted in 2017, Prose, Young Adult and tagged dream-invader, speculative. Bookmark the permalink. I started this on audio at one point and never finished it. It wasn’t the book, just a reading slump. I should get back to it. Hope it works better for you the second time around! Those slumps are awful. I have never gotten to the rest of the series, even though I adored this book. I have heard the second book is even better. Oh that’s great to hear! I’m going to save the second book for the Readathon! I liked the political natures of this book as well. Although I rooted for the Reds (naturally), I was really turned off by the terrorist activities of the Red Guard. Just finished this book so I am checking out other reviews! I agree! I understand WHY they thought violence was necessary, and I love the connections she made to various civil rights movements over the years, but I always find violence a little scary and off-putting. I’m sure that’s mostly my own personal privilege though. The first time I really understood such things in the context of real-world was reading The Rock and the River by Kekla Magoon (highly recommended! ).